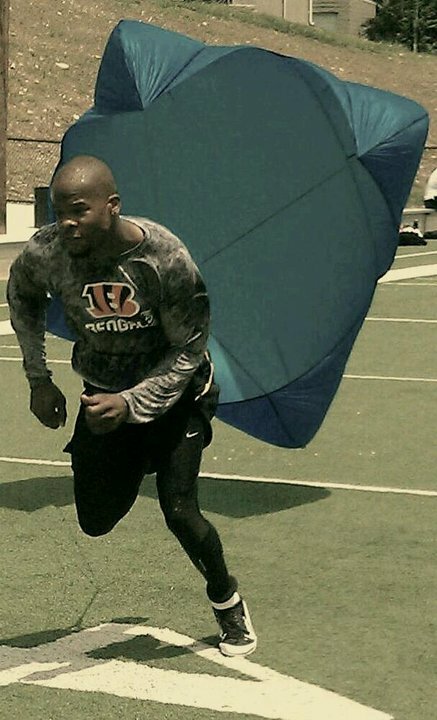 Cincinnati Bengals wide receiver Jerome Simpson finished the 2010 season on a high note. This year, the fourth-year pro is preparing for a breakout season. Simpson looked to Clif Marshall, Performance Director at Ignition Performance Athletic Group in Mason, Ohio, during the NFL lockout not only to get stronger, but to perfect his craft. Marshall, who is recognized by his peers as being one of the county’s top performance trainers for pro and college athletes, worked with a number of Bengal players during the lockout. However, Simpson may have made the most strives. The Bengals open training camp on Thursday and will hold their first practice over the weekend at Georgetown College in Kentucky. Here is where preparation for the season will start to unfold. Simpson said he is looking to make a statement in camp and understands the importance of building off the success of last season. Because he was listed inactive for most of the season, injuries to other wideouts forced coaches to play Simpson the last three games. Against Cleveland, he had only two catches for 30 yards. But he bust loose in games against San Diego (6 catches for 124 yards and 2TDs) and Baltimore (12 catches for 123 yards and 1TD). Against the Ravens, Simpson tied Chad Ochocinco for the team’s single-game season high in receptions. Cincinnati has been ridiculed since selecting Simpson from Costa Carolina with the 46th overall pick in the 2008 NFL draft. Many draft experts and enthusiasts viewed the pick as a bust even before Simpson stepped on the playing field. But former Bengals receivers coach Mike Sheppard (now the quarterbacks coach for Jacksonville) saw something many did not. He was instrumental in the team drafting him. The Bengals offense sputtered under offensive coordinator Bob Bratkowski, who was fired after the season. Selfish play, lack of discipline and complete dysfunction on both sides of the ball contributed to a losing season. The acquisition of new offensive coordinator Jay Gruden and his West Coast-style offense is expected to bring life to the running and passing game. “I’ve kept my nose in the playbook during the lockout and it suits me perfectly,” Simpson said. “It has the routes that I love to run. Jay brings a lot to the offense and has an open mind as well as easy to talk to. I’m excited because this offense is wide open and will best utilize the players’ talent. The Bengals head into training camp with a lot of uncertainties, especially at quarterback. Nine-year veteran Carson Palmer informed the organization in January he wanted to be traded, or he would retire. Owner Mike Brown has refused to back down on Palmer’s demand saying he needs to honor his contract. Still, Brown is prepared to move on without the two-time Pro Bowl quarterback. It was once thought that the team would go only as far as Carson Palmer’s arm would take them. Head coach Marvin Lewis and Brown have not talked publicly about who will replace Palmer. But they will be looking to Palmer’s younger and inexperienced brother, Jordan, and second-round pick Andy Dalton who ran TCU’s high-octane offense. Without the possibility of Carson Palmer at the helm, Simpson insists that the show must go on. “I’m pretty sure Jordan or Andy is going to step up at quarterback,” he said. “I told Jordan that it was time to stop living in his brother’s shadow and make a name for himself. I’m going to back whatever quarterback that’s under center regardless. “It shouldn’t be all about Carson, but about the team. There were a lot of people counting on him. I guess he’s got his reasons for what he wants to do. I don’t know what the inside scoop is on why he wants to leave but he’s letting us down.